Depart Tel Aviv via the coastal road and the landscape of the lower Galilee to Nazareth, the town where Jesus spent his childhood. Visit the Basilica of Annunciation and the Church of St. Joseph. Continue via Kana and stop at an observation point for a panoramic view of the Golan Heights and the Sea of Galilee. Proceed to Safed, one of the four holy cities in Israel; Learn about the history of the city that developed its reputation as the city of Kabbalah during the middle ages. Visit the Caro and Ari synagogues; Stroll through the narrow alleyways and visit the picturesque Artists' quarter. Return to point of departure. On January, February and on December 1-15 the tour will operate with a Minimum of 5 participants. The tour will not be operated on April 25; May 9; October 17, 2019. *Guests picked up from Jerusalem will join the tour from Tel-Aviv. Our daily tours are available in various languages and operated bilingually . Click here for table of languages . 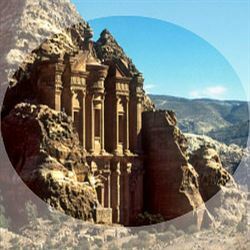 All tours are conducted by government licensed guides and in comfortable air-conditioned vehicles. Entrance fees are included ; meals are not . Changes in program may occur due to holidays, weather conditions, force majeure or unforeseen circumstances. Passengers with special needs : wheelchairs, carriages or baby seats need to notify us of their needs in advance. Modest dress is required for visiting holy sites. Comfortable walking shoes are recommended. Hat, bathing suit, towel and sun screen for Dead Sea tours. Tourists are obliged to stay with the group at all times; Separation from the group may result in being left behind and will be at customer's expense. Valuable belongings should never be left unattended in the vehicle. Rent-a-Guide will not accept responsibility for any loss, injury or damage.